November 27th 1989 was the day on which the Liberation Tigers of Tamil Eelam(LTTE)first observed its annual “Maaveerar Naal” or Great Heroes Day (GHD).Twenty five years have passed since then and the silver jubilee of the event is today Nov 27th 2014. The event continues to be observed on a large scale by sections of the Global Tamil Diaspora despite the military debacle suffered by the LTTE in May 2009. The event has lost much of its lustre after the demise of tiger supremo Veluppillai Prabhakaran.These are days of decline when compared to the manner in which Great heroes day was observed when the LTTE ruled the roost. Nevertheless commemorating the fallen tigers as great heroes annually remains an enduring tiger legacy despite the LTTE being militarily decimated in Sri Lanka. There is a mystique about “Maaveerar Naal” that has captured the imagination of a very large number of the Sri Lankan Tamil Diaspora. What makes the GHD tick despite the debacle of Mullivaaikkal? In that context the evolution and growth of the Great Heroes day event makes an interesting study. This writer has in the past written several articles on the topic. 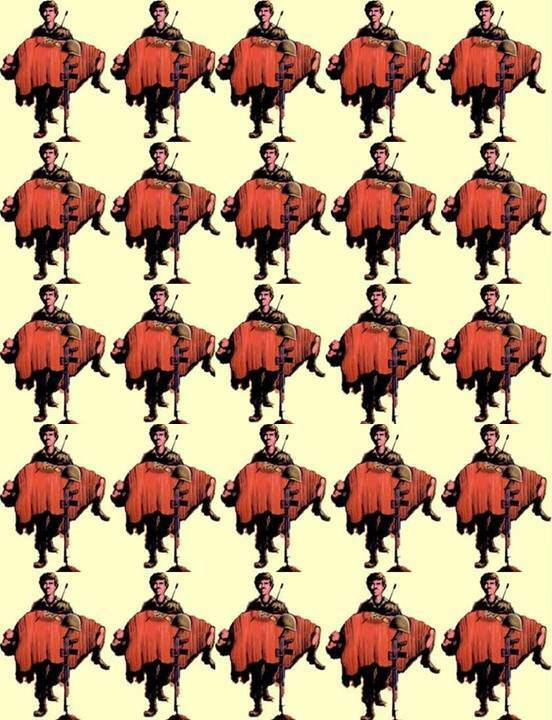 This article therefore draws liberally from his earlier writings. Let me begin by tracing in brief the history of this event. The first ever Liberation Tigers of Tamil Eelam (LTTE) member to embrace death in combat was Sathiyanathan of Kambarmalai a northern village adjacent to Valvettithurai, the birthplace of Velupillai Prabakharan its leader. Sathiyanathan alias Shankar also known as Suresh died on November 27, 1982. Incidently the sea tiger special commander Thillaiambalam Sivanesan alias Soosai was married to Shankar’s sister. Soosai is from Poligandy a coastal village in Vadamaratchy sector. Although Soosai is no more his wife and children were captured by the Sri Lankan navy when trying to escape from the Wanni by boat during the last days of the war. The family is now living in Trincomalee under a restricted release order. Even as Shankar was communicating with Jaffna University Lecturer Muthiah Nithiyanandan and his wife Nirmala an-ex-varsity lecturer who was teaching at a leading Girls School, a posse of soldiers surrounded the house. Shankar managed to shoot his way out of the military cordon but sustained serious injuries in the process. The Nithiyanandans were arrested. Later Shankar’s condition deteriorated and another senior LTTE member Thalayasingham Sivakumar alias Anton master who later represented the Tigers at the Thimphu talks undertook a perilous, clandestine journey by boat along with the injured Shankar to Tamil Nadu to procure urgent medical assistance for the latter. This was in the pre-1983 period when the LTTE consisted only of around 25 to 30 full-time activists and had very few resources including even wireless communication equipment. Leaving the grievously injured Shankar in a safehouse at Kodiaakkarai, on the coast,Anton went up to Madurai where LTTE chief Prabakharan and some others were staying then.This was the time when Prabakharan was confined by court order to Madurai because of his involvement in a broad daylight shoot out with Peoples Liberation Organisation of Tamil Eelam (PLOTE) chief Umamaheswaran at Pondy Bazaar in Chennai (then Madras). Thanks to the help rendered by Pazhaniappan Nedumaran who was then a member of the Tamil Nadu Legislative assembly representing Madurai West, Shankar was brought to a farmhouse belonging to Nedumaran for medical treatment. The people nursing Shankar in the coastal hideout had ignorantly given a lot of water to quench his thirst. This worsened his condition to a point of no return. Shankar died in Madurai on Prabakharan’s lap mumbling “Thambi, Thambi” (thambi was the endearing term by which Prabakharan was known in the old days) while the visibly shaken and weeping LTTE leader kept stroking his hair. This was one of the few occasions when the LTTE leader ever wept in public. Death in combat of a cadre whether immediate or subsequent was a new phenomenon to the LTTE on that day. Seven years later in 1989 around six hundred LTTE cadres assembled at a secret venue in the Mullaitheevu district jungles of Nithikaikulam on November 27. The occasion was the newly proclaimed Great Heroes Day or Maaveerar Naal as known in Tamil. This was the time when the Indian army was fighting the LTTE on behalf of the Sri Lankan government. Thanks to the understanding arrived at between the LTTE and then President Ranasinghe Premadasa a cease-fire had been declared on September 21, that year. A withdrawal of troops had been announced in principle. The Indian Parliamentary elections scheduled for December would determine whether Rajiv Gandhi would be re-elected or not. That verdict would in turn decide the fate of the Indian Army in Sri Lanka. The LTTE leader had in the meantime thought of honouring his dead cadres by observing a unique ceremony called Maaveerar Naal or Great Heroes Day. The LTTE leader was proud then of the performance of his organisation in having withstood the onslaught of 132,000 troops of the Indian army. When the Indo-Lanka accord was signed and hostilities ceased the LTTE had lost 632 cadres in battle. 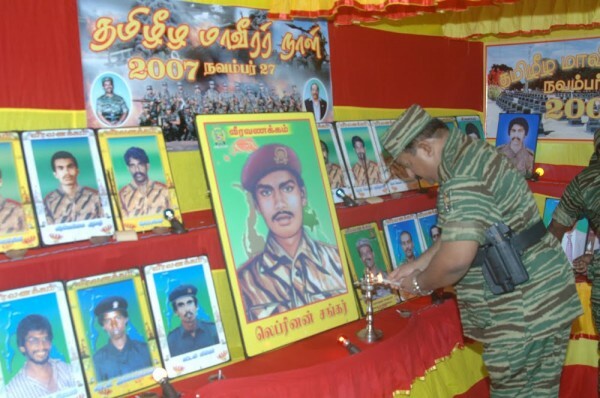 When a cessation of hostilities with the Indian army was enforced the LTTE had lost a further 711 cadres.Prabakharan wanted to recognise their contribution, honour their sacrifices and pay tribute to their memory in a collective manner. What better way than promulgating a special day? Which better day than the date on which the first LTTE member laid down his life? So November 27th it was. The first Great Heroes Day was a restricted affair of which the highlight was a highly emotional address delivered extemporaneously by Prabakharan to his enraptured followers.It was at this meeting that Prabakharan uttered his historic pronouncement “If ever Prabakharan betrays the Tamil Eelam cause you all must kill me”. This writer saw the video cassette in which the event was recorded. Prabakharan was tracing the history of the LTTE while enraptured cadres listened. At one point he stated that Tamil United Liberation Front (TULF)Leader Appapillai Amirthalingam was killed by the LTTE. “Amirthalingam had supported Tamil Eelam at one time but later betrayed it. That is why we killed him. Tomorrow if Prabakharan betrays the Tamil Eelam cause then you all must kill me. Whoever betrays Tamil Eelam must be killed” the tiger leader pronounced then. Subsequently this “scene”was edited out of the video cassette that was widely circulated among the Diaspora. The nineties of the last century saw the LTTE controlling the greater part of the northern province and substantial pockets in the eastern province. During this period the LTTE developed to a great extent, the ceremonial aspect of paying homage to its fallen heroes.There exists in the martial tradition of the Tamils a concept known as Nadugal Valipaadu which literally means worshipping the planted stone. Tombstones were erected at the graves of great heroes fallen in battle. These were honoured regularly through special Panegyrical rituals.The classical Tamil literary works of the Sangham era are replete with references to this Nadugal Valipaadu concept. The decline of Tamil dynasties along with the advent of Moghul, Nayakkar and European colonialism saw the martial tradition among Tamils becoming debilitated. The custom of paying homage to heroes fallen in battle became non-existent in an environment where war was virtually unknown for generations.Now the LTTE went back to the roots of the Tamil martial culture and revived its most potent symbolic and ritual form. From 1991 the entire week from November 21-27, was declared as Great Heroes Week. Interestingly the birthday of LTTE leader Prabakharan was November 26. Since this day was now within the Great Heroes Week more importance was attached to it. An outpouring of emotion both genuine as well as sycophantic emerged. Gradually the focus shifted from Great Heroes Day to the leader’s birthday. Some even thought that Great Heroes day was to celebrate the leaders birthday.Soon Prabakharan acted firmly and clamped down all festive activity connected with his birthday. The week was for the fallen heroes and the red letter day of that week would only be November 27, the Great Heroes Day he decreed.Nevertheless various religious observances were undertaken by followers and well wishers on November 26, seeking divine protection and blessings on the man who supposedly personified Tamil resistance to Sinhala chauvinist hegemony. Utilising its control to the maximum of the north and parts of the east during the 1990-1995 period the LTTE conducted elaborate demonstrations and events as part of observing the “Maaveerar Naal” and “Maaveerar Vaaram”(Great Heroes Week)The week culminated in a grand function on the 27th at a special location attended by Prabakharan himself. With the passage of time GHD ceremonies became decentralised. Several observances would be conducted simultaneously but pride of place however was naturally awarded to the one in which Prabakharan participated. The LTTE also established several cemeteries called Maaveerar Thuyilum Illangal (abodes where the great heroes slumber). Each of the departed cadres was marked by a single tombstone. In most cases the actual body of the dead cadre was not buried at the spot.Most bodies of dead cadres-if and when recovered- were disposed of with honours at the area of combat itself.While these tombstones were laid out in neat rows, a pavilion commemorating them collectively with names and relevant dates was also constructed. The most touching spectacle of the great heroes day observance was the mass participation of family members at these cemeteries and memorial pavilions. Later G. H. D. ceremonies were observed in foreign cities where substantial concentrations of the Tamil Diaspora lived. The security forces have demolished many of these “abodes” after seizing territory from the tigers. These types of action by the security forces have been condemned by many who felt the dead must be respected notwithstanding they were enemy fighters. Also the families of the cadres and relatives would be hurt and angered it was felt. What must be taken note of is that the LTTE never commemorated or mourned the loss of Tamils who belonged to other Tamil militant movements. 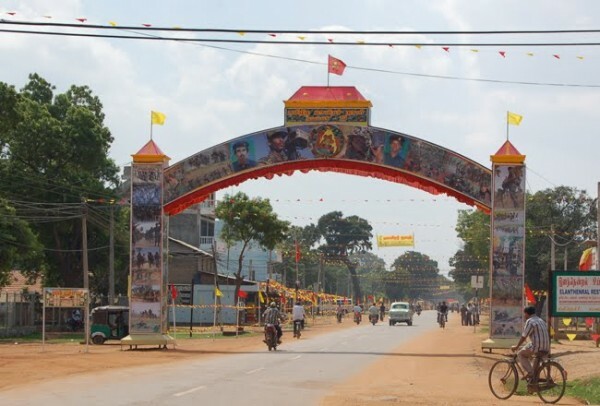 The sectarian LTTE did not regard others as fallen heroes.Only LTTE cadres were given that recognition.Families of dead cadres belonging to other movements were not allowed to mourn their loved ones publicly.They could only mourn in private. As the ethnic conflict kept continuing the casualty rates also increased. This meant that more and more Tamil families were suffering the losses of their loved ones and becoming grief stricken. Gradually the event became large scale and mass oriented. This column has witnessed Great Heroes Day ceremonies held overseas as well as films of functions in Sri Lankan Tamil areas. There is no doubt that the sight of grief stricken emotional outpourings over their loved ones by family members was a profoundly moving one. The families of fallen LTTE cadres were called Maaveerar Kudumbangal and were often given preferential treatment in spheres that came within the ambit of LTTE control. The LTTE by nurturing this cult of martyrdom achieved many things. It provided those cadres among the living a bond of affiliation with their departed comrades. The cadres got a feeling of reassuring comfort that he or she too would be honoured in similar fashion when dead. 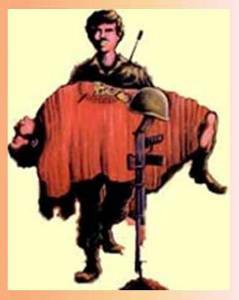 The LTTE cadres had fought and died in the belief that posterity would remember and honour their memory and martyrdom. The GHD observances provided them with the feeling that by sacrificing their lives they would grasp eternity and ensure immortality. Likewise the kith and kin of the departed souls too were gratified that the loss of their loved one has not been in vain.The emotive content of GHD observances also motivated other youths to join the LTTE. The spectacle also inspired the general population in continuing to appreciate the LTTE sacrifices and render support. The annual great heroes day address by the LTTE leader began to assume great significance and importance over the years. Since Prabakharan was quite reclusive and shunned direct media exposure the GHD appearance became one of those rare occasions where he interacted with the public.The annual speech was also considered to be something akin to a policy statement by the LTTE.It was dissected by analysts to ascertain what the LTTE leader envisaged for the immediate future. In later years Prabakharan did not deliver extempore but read from a carefully prepared text usually written by LTTE political adviser Anton Stanislaus Balasingham alias Bala annai. The setting up of the LTTE’s own radio station Puligalin Kural (Voice of Tigers) enabled it to be relayed out. With the development of information technology the speech was later relayed simultaneously via Internet. The LTTE also had its own “Nitharsanam” TV and GHD proceedings were telecast to the world at large from the Wanni.The emergence of several Tamil broadcasting stations in the western world created a situation where the speech was heard in Tamil homes throughout Europe, Australia and North America. Likewise the acquisition of various television stations by pro – tiger Tamils enabled wide televised coverage too. The GHD observances were multi-faceted and diversified. The highlight of the ceremonies was the lighting of candles and torches by those assembled.While people holding these flickering lights lined up and formed an illuminated corridor, a glowing torch was brought in relay form by LTTE cadres in similar fashion to that of the Olympic games. The flaming torch was then given to the chief guest who then lit a large eternal flame known as Eegai Chudar (Flame of sacrifice) at the Memorial monument. This was followed by the lighting of a myriad lamps and torches making the occasion a festival of lights. Several senior LTTE figures were chief guests at different ceremonies.The flames at various memorials were lit by senior tiger stalwarts. All the ceremonies were attended by members of great hero families taken by procession to the various memorials from different spots. Music was played by troupes from different LTTE formations. The different venues were also decorated with pandals.The red and yellow flags were hoisted widely. The primary ceremony however was at the site in which Prabakharan himself participated. A newly constructed memorial was the usual venue.After the LTTE flag was hoisted a display demonstration by selected squads from various units of the LTTE was held.A march past was held after which Prabakharan accepted the ceremonial salute. Prabakharan then began his address at 6. 05 pm the time that Shankar breathed his last. The speech was usually about 30 to 40 minutes. Prabakharan thereafter accepted the flaming torch brought in relay form and went on to light the premier flame of sacrifice. After observing two minutes of silence along with the massive crowd in attendance, the LTTE leader garlands a picture of Sathiyanathan alias Shankar the first great hero.Thereafter the LTTE leader accompanied by other tiger members lit the small lamps and placed flowers before the pictures of martyrs. This then is the history behind the GHD significance. So great was the importance attached to the day that the LTTE opened a special office in Kilinochhi to handle the event as well as affairs concerning dead LTTE cadres and families. A retired educationist Pon.Thiyagam was in charge of this office.He is now living outside Sri Lanka. It is against this backdrop that the currently prevalent Maaveerar Naal mystique must be viewed.LTTE and pro-LTTE elements within the Diaspora think it is their “historic duty”(varalaatrukkadamai)to commemorate the event on November 27th.Even though the war has ended and the LTTE is no more in Sri Lanka the tiger and pro-tiger sections of the Global Tamil Diaspora continue to commemorate the event worldwide. Given the demise of Prabhakaran and defeat of the tigers in the Island, it remains to be seen whether the overseas LTTE can sustain the same vigour and interest in the GHD in the years to come. Currently however the GHD concept remains potent and valid amidst the Diaspora. The overseas tigers and fellow travellers though deeply divided have seized upon the event to test and demonstrate their popular support as well as generate more funds by exploting people emotionally. Such has been the significance, relevance and importance of the Great Heroes Day to the LTTE in the past that any suspicion of a potential revival of the practice in Sri Lanka sends alarm bells ringing in security circles. The past few years and this year have seen the Sri Lankan state reacting in a pre-emptive manner to prevent perceived attempts to observe the “Great Heroes Day”(GHD)under different guises in the North and East of Sri Lanka. The latter stages of November witness the security focus shifting to face the challenge of a suspected “Maaveerar Naal”revival threat.Rightly or wrongly it was felt that overt and covert moves were on to revive the fortunes of the LTTE by reactivating GHD observances. Sri Lankans in general and the Tamil people in particular have suffered immensely as a result of the prolonged war during past decades. The end of the war has seen the country progressing slowly yet steadily on the road to lasting peace and economic development. Under these circumstances the excessive reaction of the state to suspected attempts to revive the LTTE via”Maaveerar Naal”activity was understandable though with the wisdom of hindsight one may conclude that the official response was akin to using the sledgehammer to crush a gnat. The security related response aimed at preventing observances pertaining to the GHD has brought in its wake some criticism of the Rajapaksa regime.It is being charged that the Government in its bid to prevent a tiger renaissance ,suppressed the right of the Tamil people to mourn their departed loved ones.The accusation is being levelled that the Tamil people desiring to mourn their dead were denied that basic human right.While the motives of tiger and pro-tiger elements in making such complaints is easily discernible what is troubling is the phenomenon of non –LTTE sections buying into this “politics of national Tamil mourning”perspective either wittingly or unwittingly. Notwithstanding brazen efforts by vested interests to depict “Maaveerar Naal”falling on November 27th as a day of general Tamil mourning, it must be emphasised that the so called “Great Heroes Day” is not and has never been a national day of Tamil mourning.The “Maaveerar Naal” was an intensely conducted partisan event “of the tigers,for the tigers and by the tigers”. To portray it otherwise as some have done including stalwarts of the Tamil National Alliance (TNA) is sheer political hypocrisy. The role played by sections of the Tamil National Alliance in promoting the Great Heroes concept within the current milieu has been considerable. During its Northern provincial council polls campaign last year the TNA observed two minutes silence in honour of the”Maaveerar”.Some TNA candidates praised LTTE leaders and described them as Great Heroes.Chief among these was the TNA’s chief ministerial candidate.The TNA controlled Pradeshiya Sabhas of Karaichchi and Chavakachcheri passed resolutions calling for renovation of LTTE cemeteries.The Northern provincial council conducts a tree planting campaign in November. Some TNA councillors light lamps privately and publicise it via internet as a public event to delude the Diaspora. The conduct of the TNA regarded widely as a “moderate”political formation adds to the threat perception of the state regarding the GHD.What is disgusting about the politics of mourning adopted by the TNA was the scale of political hypocrisy! The LTTE now hailed as “Great Heroes” has in the past killed hundreds of Tamils who belonged to the constituent partners of the present TNA configuration.The TNA as a single political entity is yet to publicly mourn their comrades and colleagues slain by the LTTE .Yet some TNA leaders display no qualms about celebrating fallen tigers as great heroes. What is worse is the deceitful manner in which Tamil political leaders and sections of the media foster the myth that November 27th is a date of Overall Tamil sorrow and that Maaveerar Naal is a day of national mourning for the Tamils.This does not mean that Tamils do not mourn the loss of their loved ones.They do! The Tamils have lost those dear and near to them in the communal violence of 1956, 1958, 1977, 1081 and 1983. They have suffered innumerable losses in many forms during the long years of the war.There cannot be a single Tamil living who has not suffered the loss of a loved one during the years of violence and war.What is unacceptable however is the deception to depict the “Maaveerar Naal” as a day of universal Tamil mourning. November 27th therefore is an important date in the politics of mourning in which Tiger and pro-tiger elements indulge in. Even as the twenty fifth anniversary of the Great Heroes day is observed , it would however be a grave blunder to assume that the “Maaveerar Naal” of the LTTE is a day of National mourning for the Tamils of Sri Lanka. World Is Preoccupied with “Islamaphobia” ‘xenophobia’, “Homophobia” and ‘anti Semitism’ but Indifferent to the Global Epidemic of Rampant “CHRISTOPHOBIA”.